We are a professional firm of British and European Patent and Trade Mark Attorneys, based in Cheltenham, Gloucestershire. Our UK attorney and European attorney teams have many years of experience in invention and brand protection, and work for clients in the UK and around the world. Albright IP is here to help you protect your creative vision, innovation and investment. If you use our services, you will obtain practical, potent and cost effective IP (intellectual property) protection both nationally and globally. We are trusted advisors, friends to many, respected and knowledgeable in our field. We advise on all aspects of IP protection and enforcement, including Patents, Designs, Copyright and Trade Marks. This could range from simple advice about keeping appropriate records for the purposes of Copyright and Design Right to full representation in drafting, filing and prosecuting Patent, Design and Trade Mark Applications around the world. Albright IP is regulated by the Intellectual Property Regulation Board and the Ombudsman for Legal Services. For more information about us, please see our Attorney profiles. When you work with Albright IP, you will find us helpful, conscientious and understanding of your needs, because we listen to our clients and we have years of experience. Albright IP offers a complimentary initial free consultation to assess your business’ IP requirements. This provides an opportunity for an overall IP health review, to identify ways to strengthen your portfolio and to discuss additional protection. If you have a portfolio of IP, we also offer a regular meeting so that we can discuss developments to your products and business. We often act like in-house counsel and get a feel for your business and advise accordingly. We can check that appropriate systems are in place for capturing relevant rights within your business, ensuring the timely payment of renewal fees, for example. We offer a fixed fee service for drafting and filing a UK patent application. Albright IP aims to make the process of obtaining patents as smooth as possible for businesses, both large and small. We can estimate prosecution costs for your case, linked to a calendar, enabling you to set an approximate budget for future costs likely to be incurred. Most of all, we are on the phone, on e-mail and on Skype. If you need a UK attorney or a European attorney, we are available. We put ourselves at your service to meet your business requirements and we try and provide excellence in everything we do. 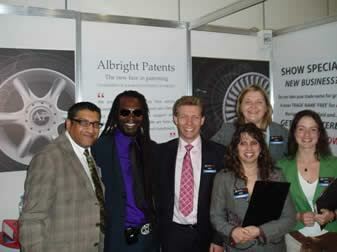 Albright Patents was founded in 2007 by Robert Games. Robert was a Patent Attorney working for a national firm in Bristol. He had also worked four years as a Patent Examiner at the UK Patent Office (now the UK IPO). After spending 3 years commuting daily from Cheltenham to Bristol on the 7.52am train, he decided to cut himself loose and follow his ambition of working for himself. The first memorable call to the business line was Adrian Hocking, a Patent Attorney working for another large firm and he was looking for a job. Robert didn’t have a single client at that point, but it was a conversation which would lead to the creation of Albright IP Ltd today. Adrian and Robert became business partners after a year and were joined shortly thereafter by Katie Oliver, Robert’s wife and a qualified Trade Mark Attorney. They traded as Albright Patents LLP for some time, but when Julia House, another Trade Mark Attorney joined the partnership, it became clear that a re-brand was necessary. 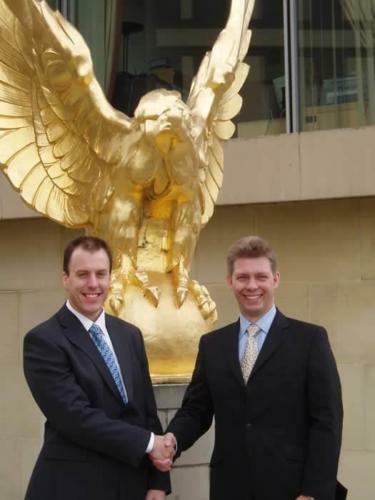 The partners formed Albright IP Ltd in August 2014 and became co-directors. 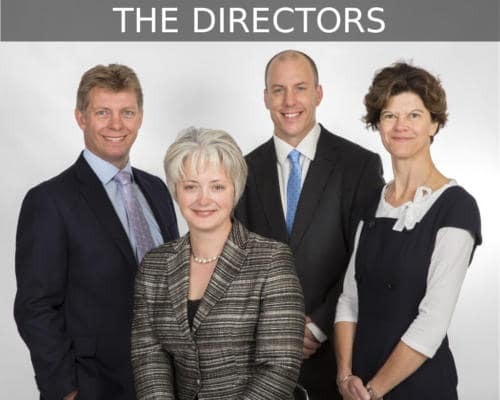 The directors all bring different strengths to the table and their combined knowledge, skills and temperaments makes for a powerful blend of enthusiasm and continuity. The company has grown year on year, and now the team is supported by an extremely clever team of junior Attorneys, the future does feel “Albright”.